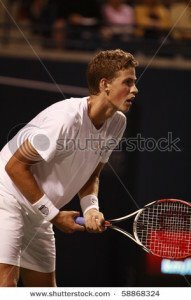 Tennis Canada, alas, did not win the 2013 men’s French Open clay-court tennis tournament, one of the four major, or Grand Slam, international tennis tournaments held annually. The men’s championship was won, for the eighth time in nine years by Rafael Nadal, 27, of Spain, on June 9, 2013. The women’s singles title was won by American Serena Williams. Not many people, even among sports fans, are interested in tennis (or Tennis Canada). But those that are, are aware that for the past decade or more, men’s tennis has been experiencing a “golden age” not seen for almost half-a-century. Roger Federer, the Swiss winner of 17 Grand Slam tournaments, is considered the greatest player of the modern (and postmodern?) era. (Federer’s genius is best explained by the late postmodern novelist, David Foster Wallace. See, Wallace, “Federer as Religious Experience,” New York Times, Aug. 20, 2006.) Federer’s current abilities have recently been surpassed by Novak Djokovic of Serbia, and Rafael (Rafa) Nadal. 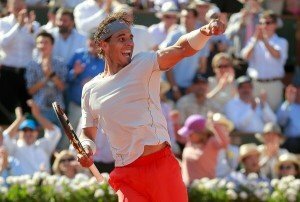 The interest in Nadal goes beyond his tennis court skills. When he changes T-shirts during a match or strips off his T-shirt to change into a light windbreaker for his post-victory interviews, a growling sound of lust and aesthetic appreciation rolls through the stadium, the emotional equivalent of, if such a thing existed, a “fan wave” of desire. 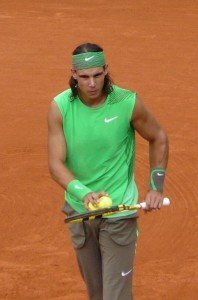 Tennis reporters, such as the NYT’s resident tennis scholar, Christopher Clarey, devoted a lengthy, learned essay to Nadal’s clothes and personal tics (which includes, on every point, plucking the rear end of his shorts from the cleavage of his buttocks. 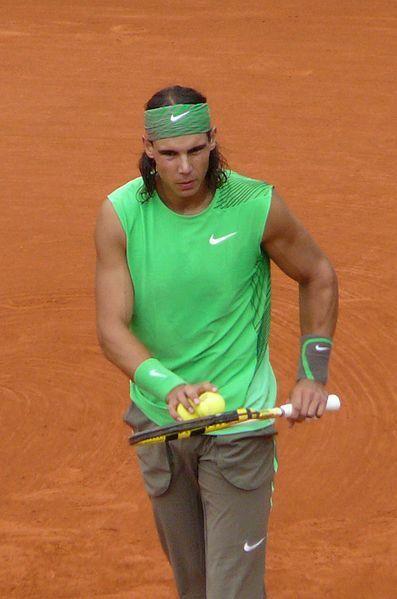 See Christopher Clarey, “A Review of Nadal’s Look, Mannerisms, and Game,” New York Times, June 9, 2013). In short (and in shorts), Nadal is cute, and has been a heartthrob ever since he began appearing in major matches at age 17. This is where Tennis Canada comes back into the picture. No other top 10 tennis player currently scores many points for cuteness, much less true beauty (even the Great Federer will not be remembered for his mashed-potato nose). 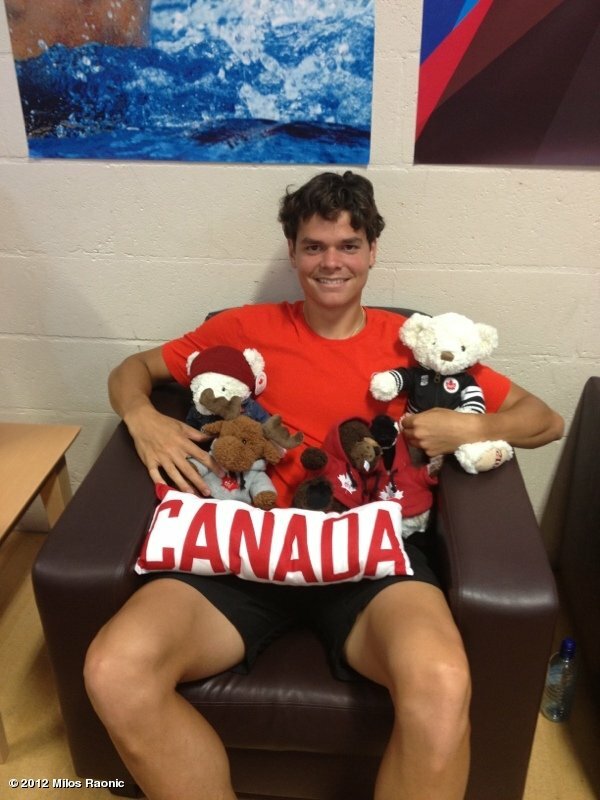 If the cuteness factor were a larger consideration in meditations on tennis, Canada would be in the front ranks. The country’s two leading players, Milos Raonic (ranked in the top 20), and Vasek Posposil, both score attractively in the cuteness contest. Both, however, were defeated in early rounds of the 2013 French Open. Oh well, au revoir Paris, on to Wimbledon!